UPDATE: The Blue Ribbon Commission on School Funding released its final report in January 2019. 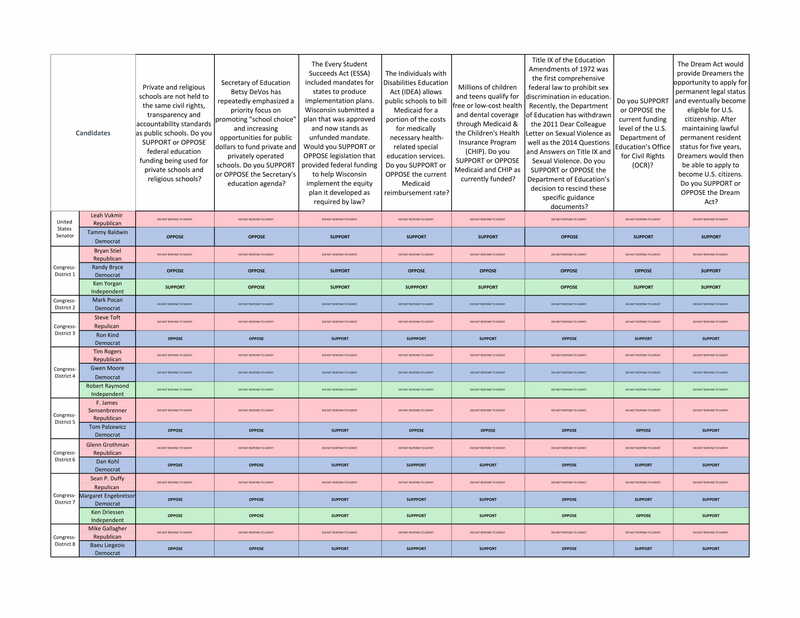 This document, which has many points of overlap with the budget proposed by Governor Evers, and could serve as a starting point for serious bipartisan consensus on fixing some of Wisconsin’s most pressing school funding problems. Let’s come together to call on lawmakers to make sure these changes become law in 2019! Reach out to your elected officials and let them know our kids are counting on it and so are we! We call on everyone who is reading this message to take time to contact the legislative members of the Commission in advance of this meeting. Urge them to put forward recommendations that transform our broken school funding system and address the concerns heard at the hearings throughout the year. We call not the Commission to find ways to TRANSFORM the system, not just “tweak” it in ways that perpetuate inequities. If you testified, remind them of your own recommendations and the priorities for your district. If you did not testify, you might find inspiration in our summary of the main concerns, and the videos from hearings (see below). FINAL MEETING was Dec. 19 in Madison! Wisconsin Eye footage here. SEE THE LFB PAPERS WITH RECOMMENDATIONS FOR CHANGES THEY WILL TAKE UP HERE. 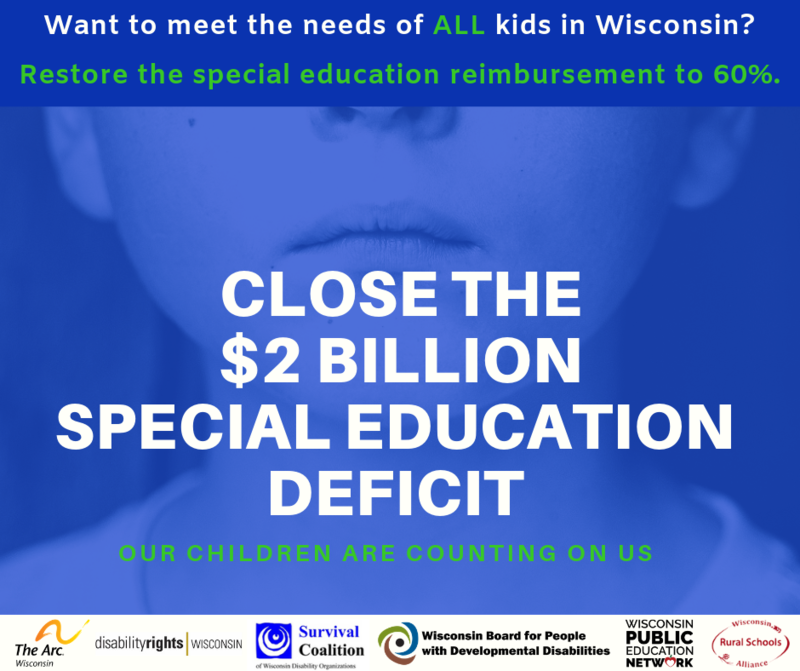 ACTION ALERT: TAKE TIME NOW TO CONTACT LEGISLATIVE MEMBERS OF THE COMMISSION and remind them that 860,000 kids are counting on them to do what’s right for Wisconsin’s public schools! It’s time to TRANSFORM school funding – not just tweak the system with short-term band-aids! THERE’S NO TIME TO LOSE FOR OUR STUDENTS & SCHOOLS! 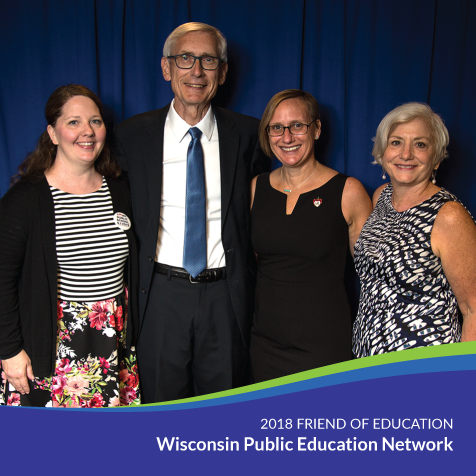 The final Blue Ribbon Commission on School Funding public hearing was Monday, June 4 in Madison, Wisconsin State Capitol, Room 412 East (Joint Finance). HOW TO SUBMIT WRITTEN TESTIMONY: Those who wish to share concerns with the Commission, but cannot make it in person, can also submit testimony in writing to the Commission co-chairs, Rep. Joel Kitchens and Sen. Luther Olsen at Rep.Kitchens@legis.wi.gov and Sen.Olsen@legis.wi.gov. Tell YOUR story. MAKE IT LOCAL. To review testimony submitted to date, see the WPEN Blue Ribbon Call to Action handout delivered to Commission members at the Turtle Lake hearing. Here are some additional talking points you might use to customize your testimony. We highly recommend connecting with business managers, superintendents, and board members to best understand the local funding picture, and share stories of how this impacts local students. Sen. Olsen advised us to “Think big.” Don’t just list the problems or your grievances – show what it would take to solve them in your district/schools. They are looking for transformative funding solutions – not bandaids – and not testimony that just enumerates concerns without pointing toward solutions. Be specific. Tell stories that SHOW how funding impacts teaching and learning in your schools. Focus on policy, not politics. Bring it in writing. Speakers who had visuals and written copies of their testimony seemed to make a bigger impact. If you don’t bring a hard copy, email the chairs your testimony after the hearing. COORDINATE with other districts in the region. Speaking together (or back to back) as a coalition of districts, parents, board members, etc, is a powerful way to touch on key themes that impact local schools and emphasize points made by others. Each speaker gets 5 minutes, so plan carefully to make sure that the important points are covered. Repetition can be good if it emphasizes areas of concern, but monotony is bad. If we can continue to tell the story of how the current funding structure falls short in these four areas in districts around the state, the committee would have solid data to discuss and work into their final report. If you are new to testimony and would like more guidance, see the video of the webinar we held on giving effective testimony. What is the Blue Ribbon Commission on School Funding? In December of 2017, the legislature convened a special commission to address the problems associated with school funding in Wisconsin. Other technical changes that could improve the transparency of the school finance system. This commission is our best chance at moving past the politics and seeing real change in how our schools are funded. It is an opportunity to show decision-makers what funding equity looks like, and help map out the road to achieving a formula that ensures equal opportunity for success for every student. 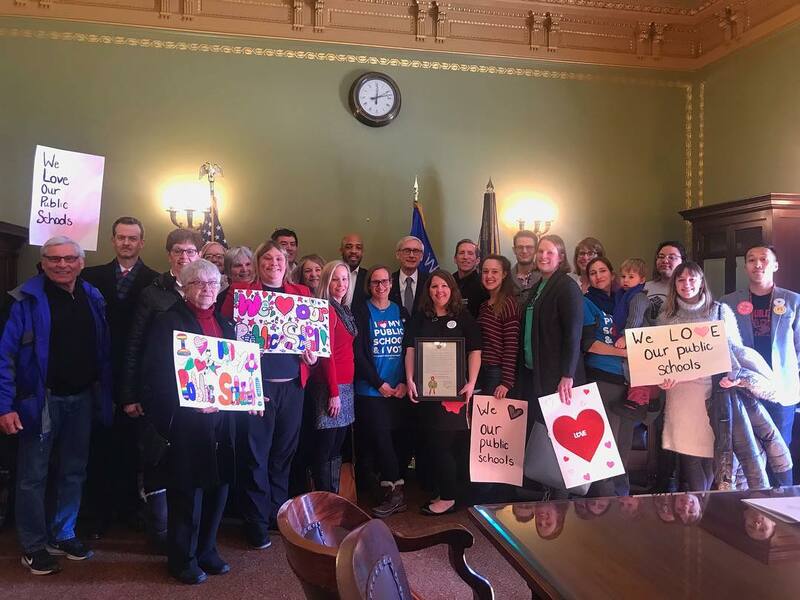 While we are eager to learn more about the plans for this important committee, there are many voices that will not be heard at the committee level – parent advocates, members of grassroots advocacy teams, active teachers, school business or finance managers, sitting board members, representation from the Wisconsin Rural Schools Alliance. These voices must be heard through our collective advocacy. Lori Saqer, Director of Business Operations, Messmer Catholic Schools, Inc.
To see the most updated meeting schedule click here. 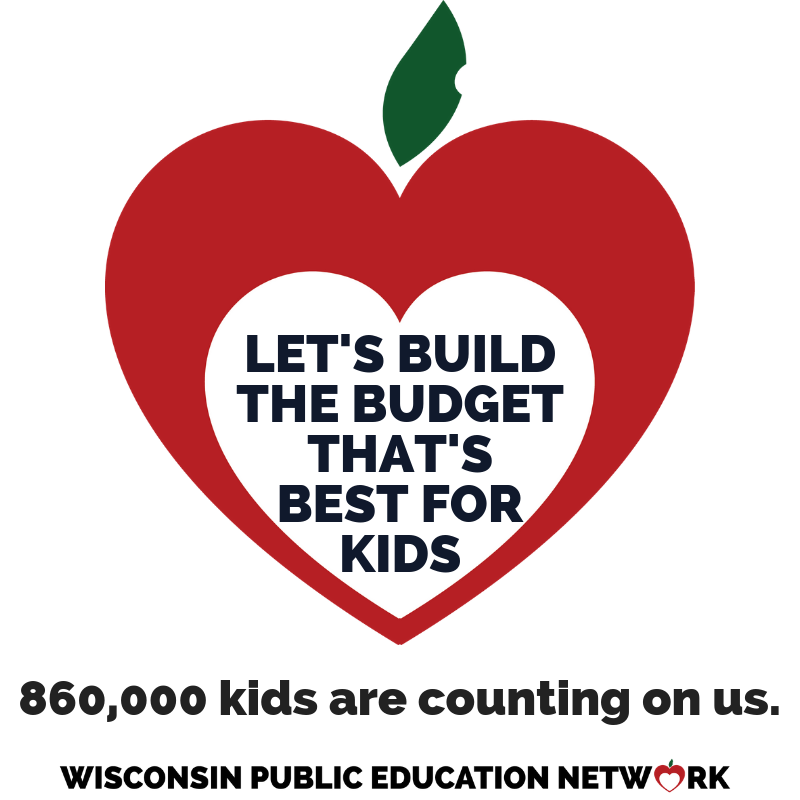 Why do we need school funding reform in Wisconsin? One word: inequity. The current funding formula does not value all students (or districts) equally or fairly, and the funding gaps across districts are creating “haves” and “have nots” that make it hard to hire and retain educators, provide equitable opportunities for all students, and meet the needs of our most vulnerable children. 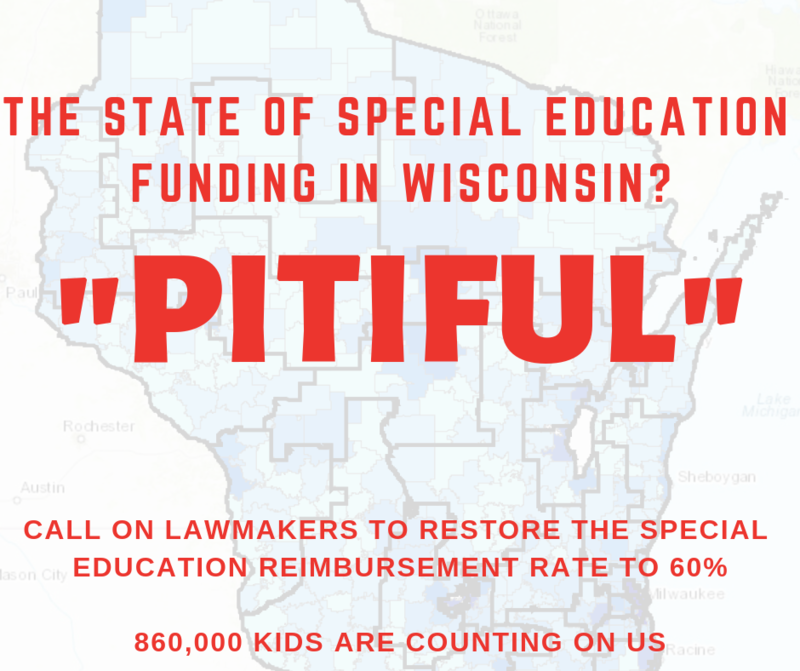 Special education funding, for instance, has been flat for a full decade. Districts are going to referenda at record rates. Wisconsin’s “teacher exodus” hurts our communities and our economy. KEY RESOURCES: Visit http://www.reformwi.org to download at-a-glance charts for your senate district that visualize the funding disparities for our public schools. School Funding Reform for Wisconsin takes the latest data from DPI and illustrates how revenue limits and private school voucher deduction impact your district. Memo #1. School Finance Data. Memo #2. School District Equalization Aid Categories. Memo #3. Special Education Aids and Costs. Memo #4. School District Boundary Modifications. Memo #5. Funding for Special Education Economically – Disadvantaged, and English Language Learner Pupils. Memo #6. Percentage of Special Needs, English Language Learned, and Low-Income Pupils in Each District. Memo #7. Options to Provide Additional Special Education Funding. Memo #8. Transportation Costs and Transportation Aid. Memo #9. General Aid, Tax Levy and Levy Credit Data for School Districts. 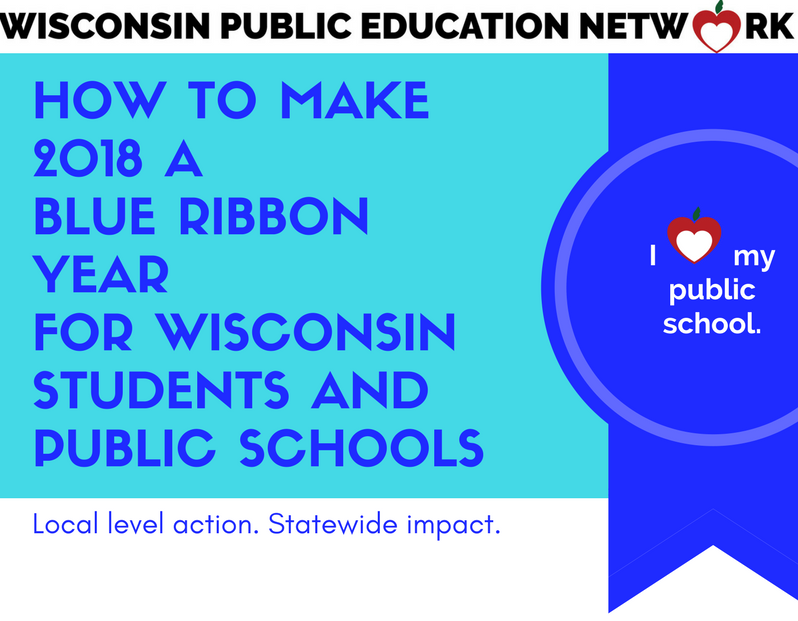 How to Testify at the Blue Ribbon Hearings: a Wisconsin Public Education Network webinar with Dr. Julie Underwood and Christopher Thiel. Click here to access the webinar’s presentation materials. Make sure you are connected with us via email! [email SUBSCRIBE to hdb@WisconsinNetwork.org to join our mailing list] This way you will always be updated with the latest news and action steps associated with the Blue Ribbon Commission. Contact the above legislators. Let them know you support this important work. Thank them for serving and invite them to call on you for feedback and input as they begin this discussion. To get an effective and lasting solution, the public must be part of the conversation. Be a Blue Ribbon Ambassador. Be a voice for fairness at the hearings. They are open to the public. Wear your green GO PUBLIC shirt if possible. Keep your testimony focused on your own experience and personal, specific examples from your district. Tell a story that illustrates the urgent need for funding reform and a fair and equitable formula – connect at the level of the heart and be a voice to remember after a long day of testimony. The best testimony shows us why you care, why we should care, and how this decision impacts all of us. And after you testify, amplify! Share video or written copies of your testimony online, with the local paper as a letter to the editor, and as widely as possible. Let your community know what is at stake and how they can share their own concerns. The upcoming schedule for the hearings is listed below, but also make sure to check here for the most updated meeting times. And check out our webinar on how to testify at the hearing! If you are a school board member, consider writing a board resolution to share with the Commission. See this great sample from the Port Edwards board here! Become connected with a local grassroots group in your area to amplify your voice and to make sure your community knows about this important opportunity to help create equitable funding in our public school system. There is a network map of our partners on the home page. Get organized! We provide tool kits and workshops to help you create local level action in your community. 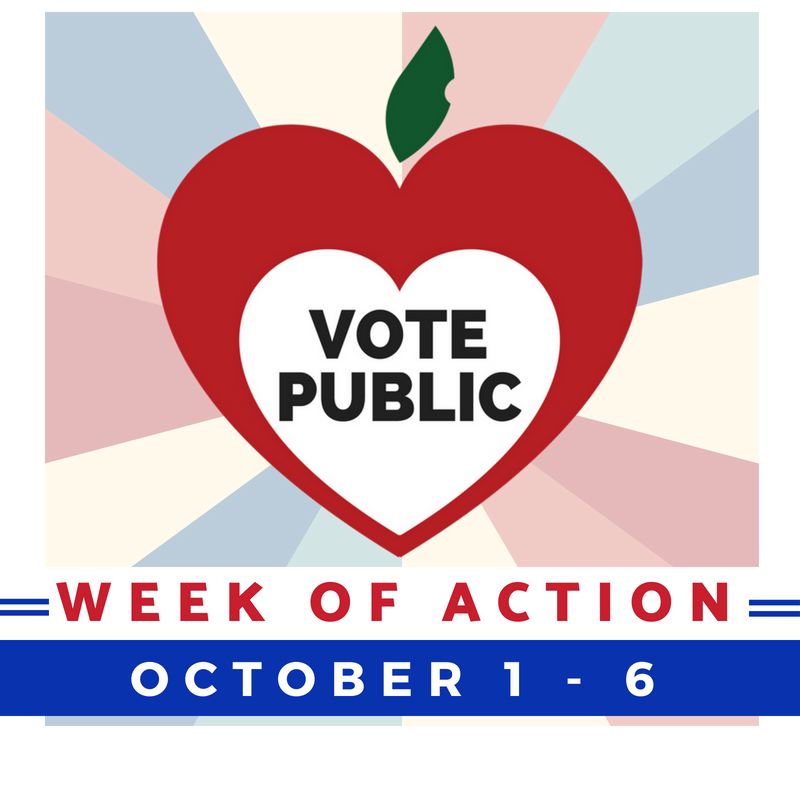 Organize and attend public forums, do research, know where candidates stand on issues, create surveys and write letters to the editor in support of public schools. If you would like more information about workshops and how one could come to your community, please email our executive director, Heather DuBois Bourenane, at hdb@wisconsinnetwork.org. 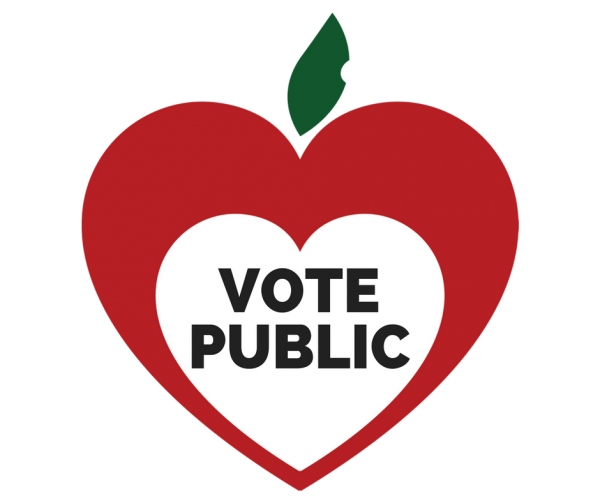 The most important thing you can do this year is #VOTEPUBLIC and get others in your community to do the same. If we want to see real change in our education system, we need to get lawmakers into office who know that education equity is a top priority for voters. Share the above steps with your family and friends, get them involved. The more voices the better. We summarized all the above information into one handy infographic. Every child in the state of Wisconsin deserves to be enrolled in a world-class education system. The National Conference of State Legislatures developed four elements that a world-class education system MUST include in their No Time to Lose Report. These elements includes language that clearly shows equitable education funding is the only way to achieve the high standards our students deserve. To read the full No Time to Lose Report and to learn more about the NCSL visit their website. Please feel free to share and use this infographic.